Support Vector-based learning methods are an important part of Computational Intelligence techniques. Recent efforts have been dealing with the problem of learning from very large datasets. This paper reviews the most commonly used formulations of support vector machines for regression (SVRs) aiming to emphasize its usability on large-scale applications. We review the general concept of support vector machines (SVMs), address the state-of-the-art on training methods SVMs, and explain the fundamental principle of SVRs. The most common learning methods for SVRs are introduced and linear programming-based SVR formulations are explained emphasizing its suitability for large-scale learning. Finally, this paper also discusses some open problems and current trends. Statistical pattern recognition methods based on optimization methods have shifted the paradigm in the computational intelligence area. The reason is that most learning algorithms proposed in the past 20 years focused on heuristics or on analogies with natural learning systems, such as evolutionary algorithms (EA) or neural networks (NN). EAs and NNs were mostly the result of biological findings and experimental tuning of parameters. However, the underlying reasons for their performance was not fully understood. Most of the work was based on designing heuristics to avoid local minima trapping in the training (design) process. 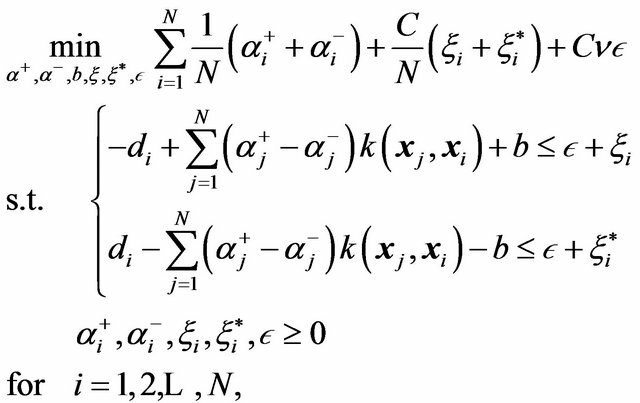 In contrast, recent statistical pattern recognition algorithms overcome many of these disadvantages by using known theories in the mathematical sciences, e.g., Mercer kernels , Hilbert spaces , and Kernel expansion . In the last decade, a theoretical basis for learning machines has been developed to explicitly maximize their performance . The combination of learning machines with kernel functions has led to novel pattern recognition algorithms characterized by their formulation as convex optimization problems. 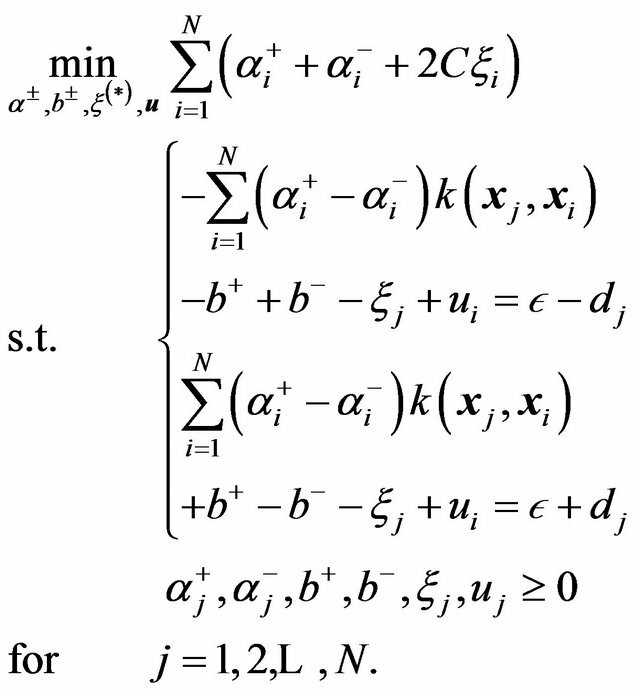 Convex optimization problems have the advantage of being free from local minima. In particular, it is now possible to model nonlinear pattern recognition systems under the convenience of a linear representation using kernel functions . Support vector machines (SVMs) are arguably the best known example among kernel learning algorithms. Since their introduction in 1992 , SVMs have been studied, generalized, and applied to a number of problems. Currently, SVMs hold records in performance benchmarks for handwritten digit recognition , text categorization , information retrieval , and time-series prediction  and are commonly used in the analysis of DNA micro-array data . Due to its novelty and potential, there are many areas of improvement, particularly in the area of numerical methods that helps with the problem posing  (e.g., vectorial calculus and algebra) and optimization  (e.g., quadratic and linear programming). In 1995, Vapnik et al. and later Smola et al. explored and developed the SVM approach for regretssion problems. This approach is commonly known as Support Vector Regression (SVR), which increased the application range of SVMs since SVRs can also perform multi-class pattern recognition . 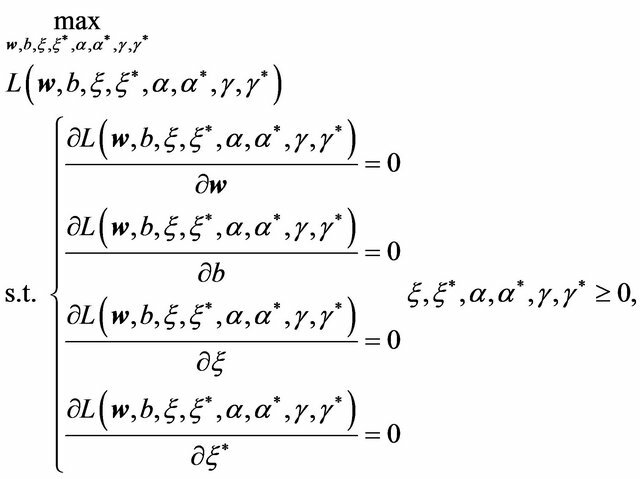 This type of machine is typically formulated using quadratic optimization under the umbrella of convex optimization. In return, the solution is always global and is easy to compute for very small problems. This paper is devoted to introduce, familiarize, and motivate the reader to the field of SVR, ultimately, for large-scale formulations posed as linear programs. The rest of the paper is organized as follows. The state-of-the-art on training SVMs is summarized in Section 2, emphasizing the number of the training samples used. Section 3 defines the fundamental principle of SVRs. The two major learning methods for SVRs are introduced in Section 4, while in Section 5 it is introduced the linear programming-based SVR formulations, aiming to emphasize formulations suitable for large-scale learning. Finally, open problems, current trends, and conclusions are drawn in Section 6. The original training of an SVM  was only valid for small data sets and was designed to find the solution of a QP problem using a constrained conjugate gradient algorithm. The size of the problem is directly proportional to the number of training vectors, making its solution computationally intractable even for moderate size training sets. Later Vapnik et al. improved this method by considering only those variables associated to support vectors lying on the boundaries, whose gradient take them out of the feasible region. This modification allowed computational tractability of a limited number of largescale problems (less than 5000 samples). In 1997, Osuna et al. proposed a decomposition method that achieves optimality by solving a sequence of smaller sub-problems from randomly selected samples out of a training dataset. The algorithm selects the support vector coefficients that are active on either side of the optimal hyperplane (in a two class problem), then proceeds iteratively until the completion of the problem size. This algorithm performs satisfactory in applications of up to 110,000 data points. Later in 1999, Joachims introduced the concept of “shrinking” under the SVM training context and named it “SVMlight” . The idea is to get rid of points that have less probability of becoming support vectors, thereby saving time in the optimization problem solution. Joachims’ method demonstrated to be faster than Osuna’s method. The author reported results for as many as 49,749 data points. Also in 1999, Platt extended Osuna’s work with an algorithm called “sequential minimal optimization” (SMO) . This is a famous algorithm implemented in several commercial and open-source software applications. The key idea behind Platt’s method is to decompose the large QP problem into a series of very small QP sub-problems. These sub-problems are as small as they can be solvewithout a QP solver, thus much faster. Platt reported as many as 60,000 data points. Collobert et al. reported in 2001 an adaptation of Joachims’ method for SVR problems named “SVMT orch” (see Section 4). 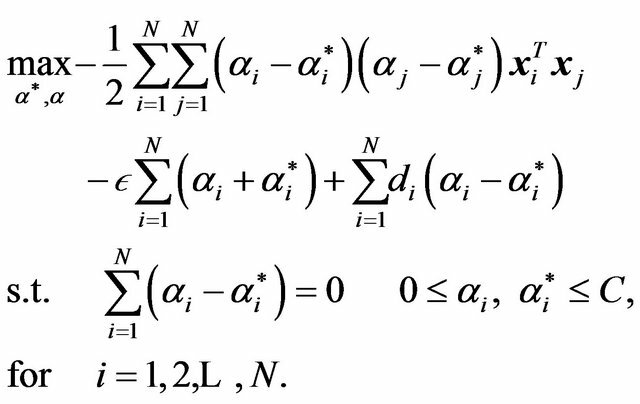 The authors show the implementation of reduction algorithms and give mathematical proof of convergence. The authors also reported using as many as 60,000 data points. Rifkin presented the “SVMFu” algorithm in 2002 . This work reviews and synthesizes Osuna’s, Platt’s, and Joachims’ work. The key idea is to divide the large problem into sub-problems such that their Hessian matrices fit within memory limitations. 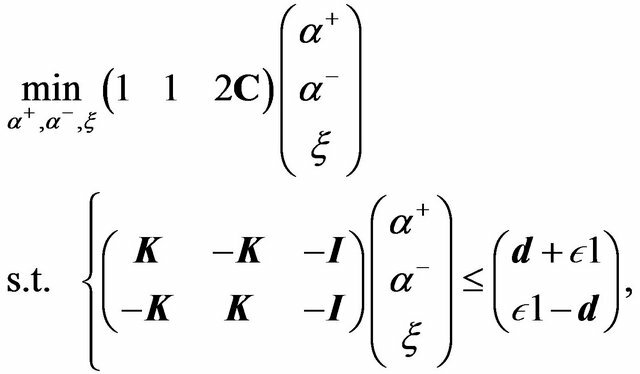 In QP, Hessian matrices are useful since they describe the second partial derivatives of an n-dimensional function. Rifkin reports as many as 60,000 data points. Mangasarian et al. in 2002 , explored the very first linear programming (LP) approach to kernel-based regression. The authors proposed a linear programming chunking (LPC) algorithm with guaranteed termination. The method demonstrated efficiency, but slow convergence solving linear programs with commercial optimization software. The authors report solving linear programs with as many as 16,000 data points in a total of 19 days. In 2005, Drineas et al. developed an algorithm to approximate a low rank kernel matrix. The overall computational time is reduced. The authors report an interesting derivation of their ideas based on the Nystron method. Continuing with QP-based methods, in 2006, Hush et al. proposed an algorithm that produces approximate solutions without compromising accuracy in a QP SVM problem. 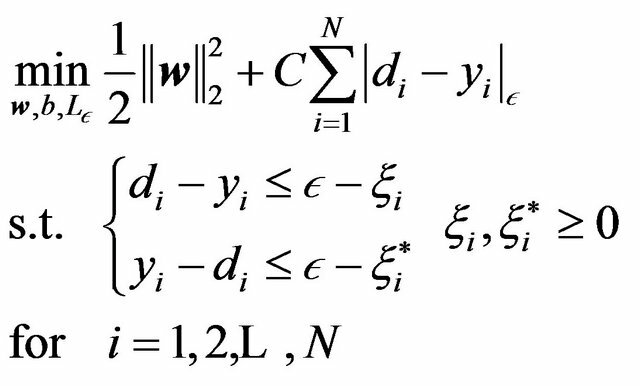 The authors propose a first stage where the algorithm provides an approximate solution for the QP dual, and a second stage that maps the QP-dual problem to the QP-primal problem, based on the duality theorem. The authors report over a 100,000 samples data-set. In 2006, Sra  proposed an algorithm that explicitly takes advantage of the LP formulation for SVMs to produce an efficient training method for large-scale problems. 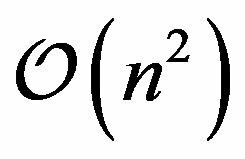 The method converts the LP problem into a QP problem, applies Bregman  and Hildreth  decomposition, and then the QP problem is solved. The author reports solving a problem with as many as 20,000,000 samples. For some time, no new LP approaches for SVR were developed until 2009, when Lu et al. reported an SVR method based on a novel LP formulation. The authors present an alternative of the typical kernels and use wavelet-based kernels instead. The paper shows an application to nonlinear dynamical systems identification, but the authors do not elaborate on the data-set size. In 2010, by the time this paper was already in progress, Torii et al. published work on a novel LP formulation along with three decomposition methods for training an LP-SVM approach. The authors report as many as 60,000 data points. The development found up to date does not report any advances of sub-problem-based SVR approaches entirely motivated and aimed for large-scale LP-SVR formulations since Mangasarian et al. . Even the idea from Sra  that seems to work for up to 20,000,000 samples, fails to take advantage of the efficiency of LP solvers and still works for only a limited number of samples. In spite of all these advances in SVMs and SVRs, training schemes for large-scale applications are still required. It is of high importance to address the problem of large-scale training as technology advances and large amounts of data is being stored for further analysis. For now, let us review briefly the concept of SVR. 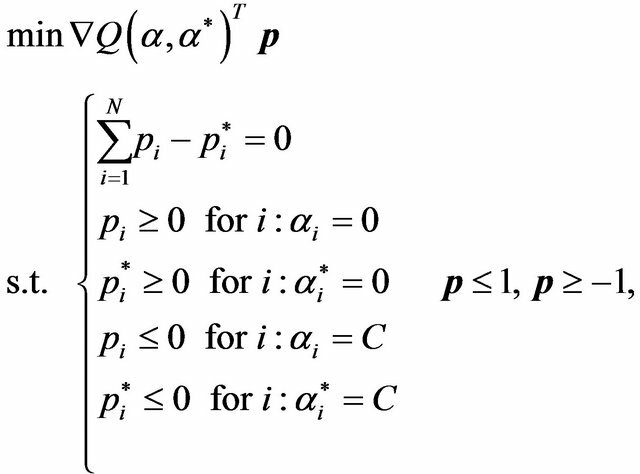 where is a prescribed parameter (see Figure 1). 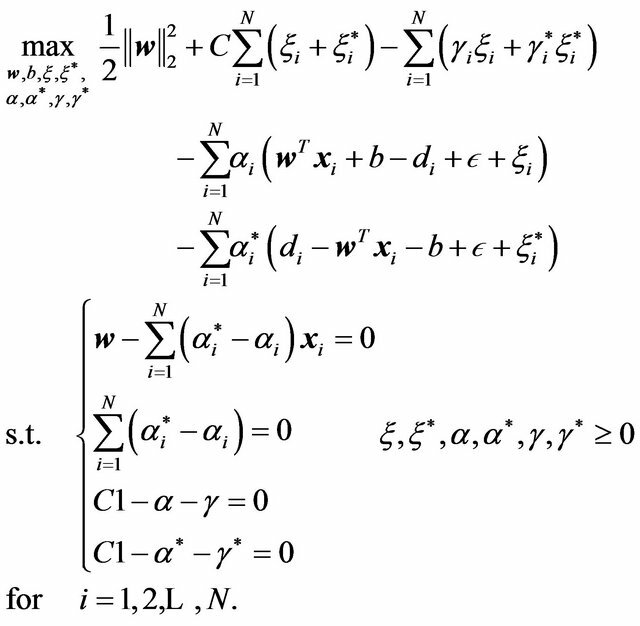 where the summation in the cost function accounts for the -insensitive training error, which forms a tube where the solution is allowed to be defined without penalization, as shown in Figure 2 for the linear case, and in Figure 3 for the non-linear regression case. The constant describes the tradeoff between the training error and the penalizing term . The term is penalized to enforce a sparse solution on . The variables and are two sets of nonnegative slack variables that describe the -insensitive loss function. Figure 1. 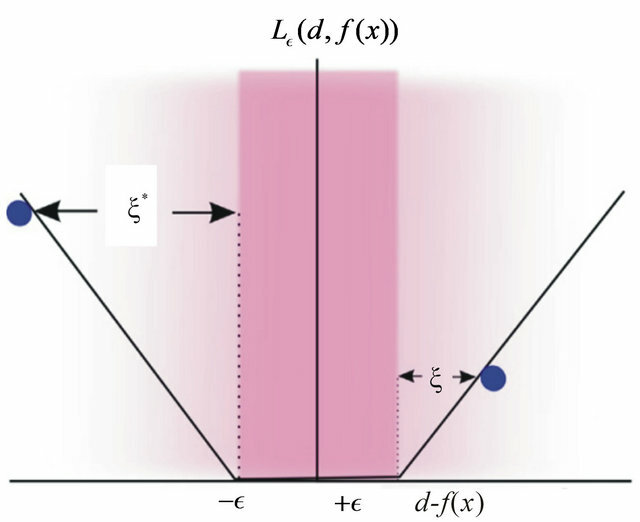 Illustration of the -insensitive loss function. Figure 2. Linear regression: An -insensitive tube, fitted to the data points shown as circles. Figure 3. Non-linear regression: A regression curve along with the -insensitive tube. This formulation is used to implement learning methods discussed next. 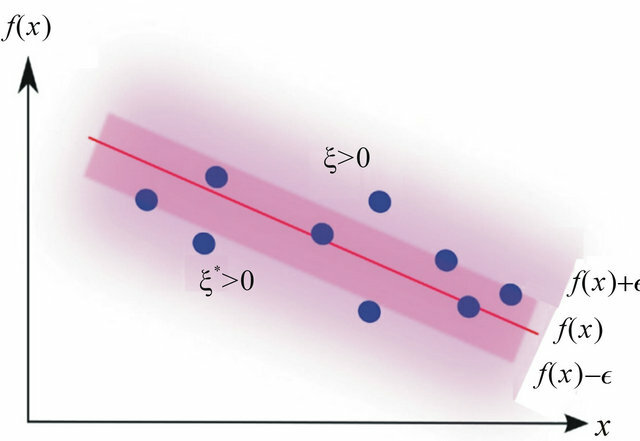 Support Vector Machines for Regression (SVRs) share the same advantages and disadvantages as SVMs. That means, SVMs training methods can be extended to SVRs whenever they are not directly dependent on the particularities of the SVM problem. Since most SVM training methods depend on the particular mathematical formulation of SVM, very few of them can be extended to SVR. where is a kernel matrix. where , and the size of the working set is given the by for all . Finally, the authors give proof of convergence following Platt;s SMO idea selecting a working set size of 2 samples. The problems with this implementation are inherited from Joachims’ and augmented due to the complexity of the SVR definition. Particularly, the issues with this algorithm are the inherent QP solution process and the additional steepest descent process. Furthermore, they introduced the concept of shrinking, that is, to permanently remove from the working set the bounded support vectors after a number of iterations. Although the heuristic of shrinking dramatically speeds up the training process, convergence is not guaranteed anymore. However, Collobert’s et al. shrinking method is still the most popular large-scale SVR training strategy. In fact, there is currently no agreement as to which of the previous problems is the canonical or standard form. In this paper, problem (16) will be regarded as the LP primal in its canonical form. 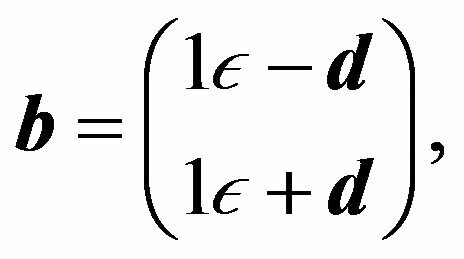 where is a vector of dual variables defined over and s is a slack vector variable in .The solution to the primal problem is denoted as , and the solution to the dual problem is denoted as . 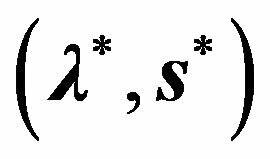 The duality theorem states that , which means that the solution also solves the dual, and the solution of the dual also solves the primal . The idea of Linear Programming Support Vector Regression (LP-SVR) is to pose the SVR problem (4) as a linear program either in its canonical (16) or standard (15) forms. Before we continue with linear programming and SVRs, we need to inform the reader of the complexity of the typical SVR problems to justify further implementations with interior point methods. The following paragraphs will inform the reader in regard to the computational expenses on SVR learning methods. 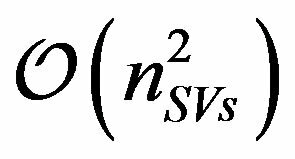 Let and be the number of variables and constraints respectively in an SVR-based optimization problem. To solve such optimization problems, there are three known strategies. First, if the problem can fit within system memory, the strategy is to directly use interior point methods which have memory consumption of . Second, if the problem is of medium size, active-set methods are proven to be more appropriate . They need memory, where is characterized by the number of support vectors of the problem. That is, active-set methods deal with the complete set of support vectors only. Third, for very large datasets, one currently uses working set methods (i.e., decomposition methods). Among these are Collobert's  or Mangasarian’s . These methods have memory consumption of . The training strategies are summarized in Figure 4. Now, let us review the most common LP-SVR formulations that will provide the reader with the general knowledge on LP-SVRs. The dual problem is derived in order to use a primal-dual interior point solver with a predictor-corrector strategy. 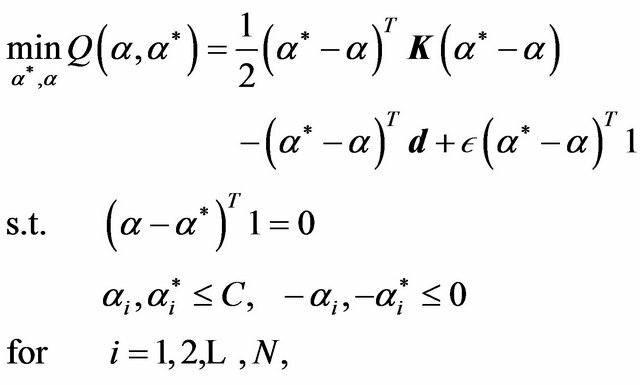 In doing this, they also derive the corresponding Karush-Kuhn-Tucker (KKT) conditions. Smola et al. 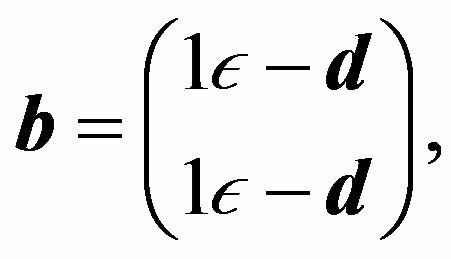 suggest that the parameter is proportional to the number of support vectors. Although the main contribution is to show the efficiency of an SVR using LP, a critique is that the authors eliminated one parameter by adding another, i.e., instead of Moreover, the problems with LP-SVR models is that the program dimension is very large, i.e., . As a consequence, the authors report performing regression with training sets consisting of only 50 and 80 data points. Figure 4. Depending on the problem size, one may find three different strategies for SVR training. penalized. If one take a closer look to problems (18) and (21), one notices that . In fact, the authors show that problems (18) and (21) are equivalent. The significance of this formulation is the use of a modified version of the Linear Programming Chunking (LPC) algorithm . The LPC algorithm was originally utilized to solve the problem with a subset of the constraints. However, Mangasarian et al. also proposed a modified version that constraint the variables as well. This modification promotes a smaller version of the problem, hence faster computations in terms of memory allocation. where ; that is, the decomposition of the positive and the negative part of . Then, the authors show that this formulation performs around 25 times faster than the QP-SVR. No details were given with respect to the solver used, and no proof of convergence was addressed. The authors also show that in measuring the root mean squared error (RMSE), the QP-SVR performs better than their LP-SVR approach. 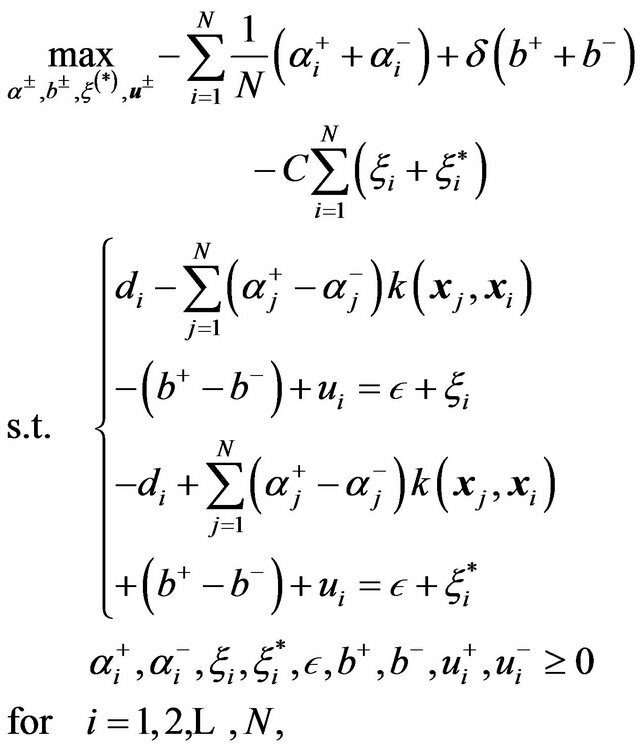 However, they also report that this formulation requires fewer support vectors. Hence, a sparser solution is obtained, having the advantage of a reduced number of support vectors, which also represents computationally efficient solutions. The evident problem with this formulation is the size of the problem: variables and constraints. Therefore, the author only reports experiments for small size problems; e.g., 351, 297, and 345 data points, using an RBF kernel. 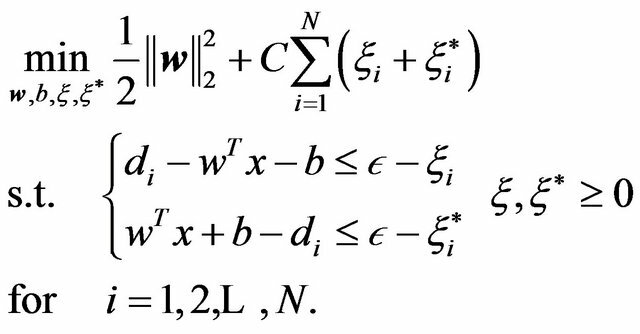 The poor formulation makes the size problem more evident since the authors used the simplex method. As a consequence very large training times will be experienced. One obvious critique is the inclusion of , making the set of hyper-parameters to be chosen more heuristically. In comparison with the -LPR formulation by Smola et al. , problem (27) 1) uses the canonical formulation, 2) computes , and implicitly, 3) does not compute implicitly, 4) does not require the parameter , 5) promotes efficiency in the sense of using only one , and 6) is a lower dimensional problem. In comparison with Mangasarian et al. , problem (27) 1) uses the canonical formulation, 2) computes implicitly, 3) does not compute implicitly, and 4) does not require the parameter . By 3) and 4) the experimenter has more control of the sparseness of the solution . In this case sparseness means fewer number of support vectors. where the equality implies that one of both variables must be zero. 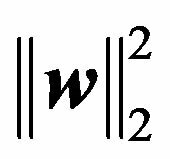 This equality is typically referred to as the complementarity condition. Note that the KKT conditions depend on the variables , and if the set of solutions satisfy all the conditions, the problem is said to be solved. The set is known as a primal-dual solution. In this paper we have explained the efforts being made towards a solution of large-scale learning using SVRs. We have reviewed the most commonly used formulations of SVRs emphasizing its usability on large-scale applications. We reviewed the general concept of SVMs, addressed the state-of-the-art on training methods SVMs, and explained the fundamental principle of SVRs. The two most common learning methods for SVRs were introduced and linear programming-based SVR formulations are explained emphasizing its suitability for large-scale learning. The Support Vector learning field is still very active. As a consequence, the treatment of large-scale SVM remains being of interest to researchers in the field (see reference ). However, a number of open issues that have to be addressed still persist. Although recently, SVR algorithmic development seems to be at a more stable stage, one issue is to find whether linear programming SVR approaches will lead to more satisfactory results [12,14]. The problem of empirical tuning [3,14] of SVR hyper-parameters (e.g., ), has to be devised to make SVRs less dependent on the skill of the experimenter [14,39]. Optimization techniques developed within the context of SVRs are also required in order to improve treatment of large datasets . This may be done in combination with reduced set methods for speeding up the training phase for large datasets. This topic is of huge importance as machine learning applications demand algorithms that are capable of dealing with datasets that are at least larger than 1 million samples . Other problems still considered open include the following: more data dependent generalization bounds, efficient training algorithms, and automatic kernel selection procedures. The authors would like to kindly invite highly motivated researchers to contribute in these areas as they can lead to a settlement on large-scale SV-based learning methods. The author P. R. P. performed part of this work while at NASA Goddard Space Flight Center as part of the Graduate Student Summer Program (GSSP 2009) under the supervision of Dr. James C. Tilton. This work was supported in part by the National Council for Science and Technology (CONACyT), Mexico, under Grant 193324/ 303732 and mentored by Dr. Greg Hamerly who is with the department of Computer Science at Baylor University. Finally, the authors acknowledge the support of the Large-Scale Multispectral Multidimensional Analysis (LSMMA) Laboratory (www.lsmmalab.com). R. Courant and D. Hilbert, “Methods of Mathematical Physics,” Interscience, New York, 1966. N. Cristianini and B. Scholkopf, “Support Vector Machines and Kernel Methods: The New Generation of Learning Machines,” Ai Magazine, Vol. 23, No. 3, 2002, p. 31. B. E. Boser, I. M. Guyon and V. N. Vapnik, “A Training Algorithm for Optimal Margin Classifiers,” Proceedings of the 5th Annual Workshop on Computational Learning Theory, Pittsburgh, July 1992, pp. 144-152. V. N. Vapnik, “The Nature of Statistical Learning Theory,” Springer, New York, 1995. B. Huang, Z. Cai, Q. Gu and C. Chen, “Using Support Vector Regression for Classification,” Advanced Data Mining and Applications, Vol. 5139, 2008, pp. 581-588. 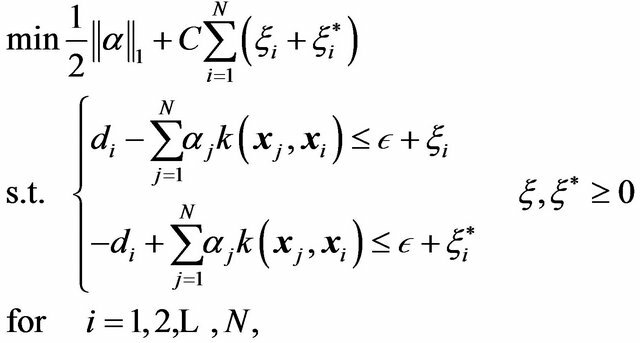 V. Vapnik, S. Golowich, and A. Smola, “Support Vector Method for Function Approximation, Regression Estimation, and Signal Processing,” Advances in Neural Information Processing Systems, Vol. 9, 1997, pp. 281-287. T. Joachims, “Making Large Scale SVM Learning Practical,” Advances in Kernel Methods, 1999, pp. 169-184. J. Platt, “Using Analytic QP and Sparseness to Speed Training of Support Vector Machines,” Advances in Neural Information Processing Systems, MIT Press, Cambridge, 1999, pp. 557-563. R. Rifkin, “Everything Old Is New Again: A Fresh Look at Historical Approaches in Machine Learning,” Ph.D. Dissertation, Massachusetts Institute of Technology, 2002. 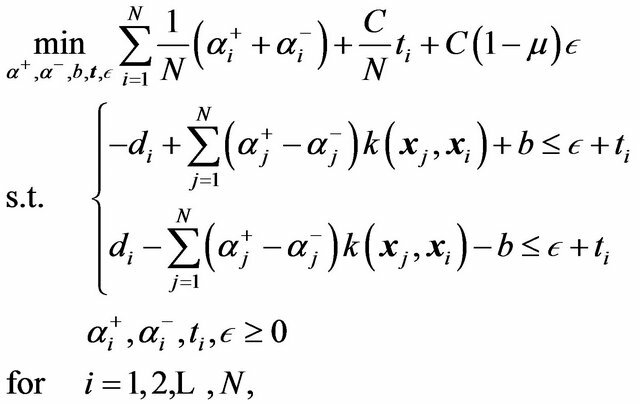 P. Drineas and M. W. Mahoney, “On the Nystrom Method for Approximating a Gram Matrix for Improved Kernel-Based Learning,” Journal of Machine Learning Research, Vol. 6, 2005, pp. 2153-2175. 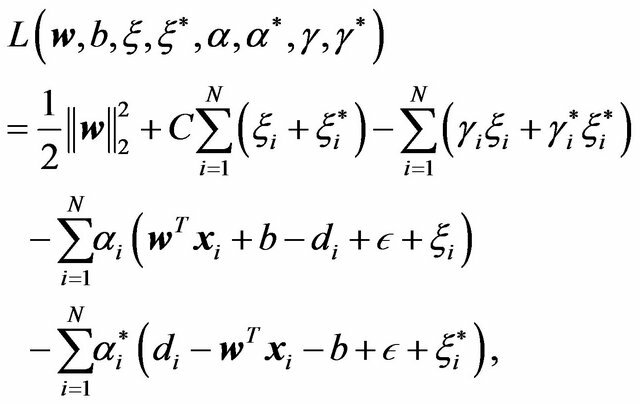 D. Hush, P. Kelly, C. Scovel and I. Steinwart, “QP Algorithms with Guaranteed Accuracy and Run Time for Support Vector Machines,” The Journal of Machine Learning Research, Vol. 7, 2006, p. 769. Y. Censor and S. Zenios, “Parallel Optimization: Theory, Algorithms, and Applications,” Oxford University Press, Oxford, 1997. S. S. Haykin, “Neural Networks and Learning Machine,” Prentice Hall, Upper Saddle River, 2009. L. Wang, “Support Vector Machines: Theory and Applications,” Studies in Fuzziness and Soft Computing, Vol. 177, Springer-Verlag, Berlin, 2005. B. Scholkopf and A. J. Smola, “Learning with Kernels: Support Vector Machines, Regularization, Optimization, and Beyond,” The MIT Press, Cambridge, 2002. P. R. Perea, “Algorithms for Training Large-Scale Linear Programming Support Vector Regression and Classification,” Ph.D. Dissertation, The University of Texas, El Paso, 2011. Y.-Z. Xu and H. Qin, “A New Optimization Method of Large-Scale svms Based on Kernel Distance Clustering,” International Conference on Computational Intelligence andSoftware Engineering, Wuhan, 11-13 December 2009, pp. 1-4. C. Bishop, “Neural Networks for Pattern Recognition,” Oxford University Press, Oxford, 1995.